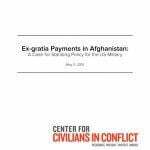 WASHINGTON (May 12, 2015) – U.S. Army Central (ARCENT) recently made public detailed information on ex-gratia payments awarded by the US military in Afghanistan from October 2005 to September 2014. 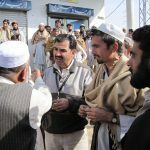 Sometimes referred to as “solatia”, “condolences”, or “amends” these monetary payments may be made to Afghan civilians for death, injury, and property damage as a result of US combat operations. This newly released data, in response to a Freedom of Information Act (FOIA) request, further substantiates the inconsistencies and ad hoc nature of this program as detailed in a 2008 white paper by Center for Civilians in Conflict (CIVIC). While efforts to assist civilians harmed during military operations are laudable, the US military should urgently adopt a standing policy to govern such programs in a fair and equitable manner both within and across combat theatres. This is both a strategic and ethical imperative. The Department of Defense (DoD) currently has two options for implementing standing policy on providing ex-gratia payments for incidental harm during combat operations: operationalize Section 8121 of the Consolidated Appropriations Act of 2015 which creates a funding stream for such a program; or create a standing DoD policy on this issue. 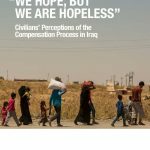 A clear policy—whether through the legislation or through policy channels—available now and for any future engagement—will address the inconsistencies of the current ex-gratia payment programs and ensure prompt and effective implementation in future conflicts to which the US is party.